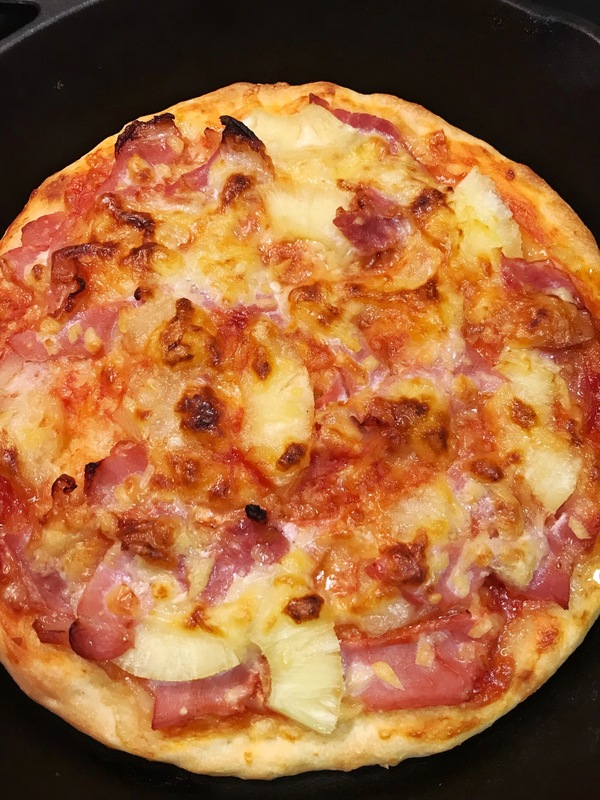 I guess Hawaiian pizza should be the most controversial one due to the controversial ingredient – pineapple. 1. 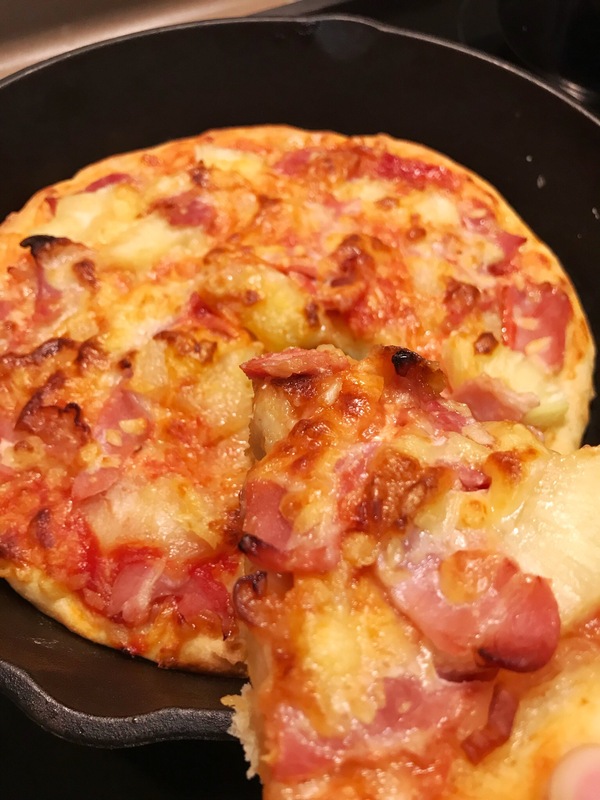 Press pizza dough into pizza pan or skillet like I did. 2. Use a fork to poke pizza dough several times. 3. Brush dough with tomato sauce or pizza sauce. 4. Sprinkle cheese over it. 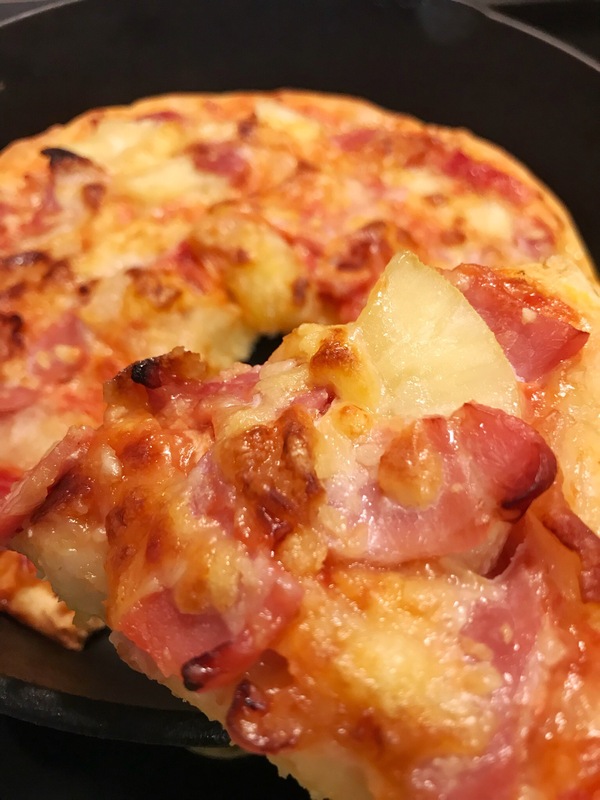 Then small bacon slices and pineapple slices on it. And top with cheese. 5. Bake for 15-20 mins till cheese melts and becomes golden brown. My husband ate it up BY HIMSELT!